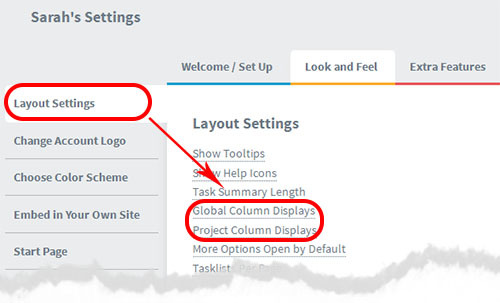 You can decide which columns you want to be displayed on your Overview screens. For example you can hide the “Assigned To” column, and / or show the “Start Date” column next to the “Due Date”. 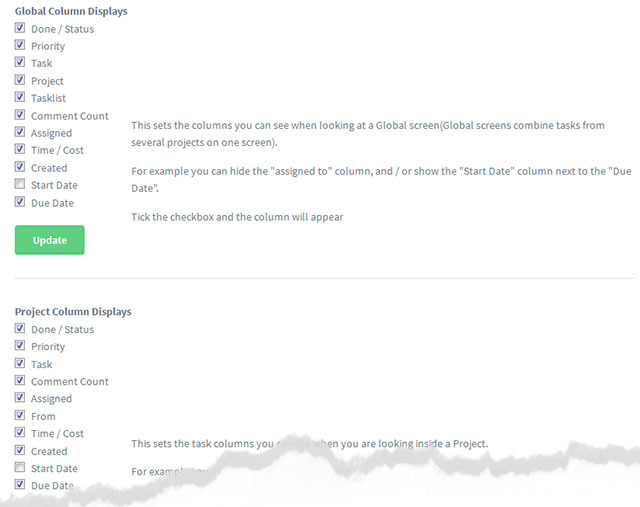 Your display can vary between Global screens – these are the screens that combine tasks from several projects on one screen – and Project level screens. Use the checkboxes to confirm which columns you want displayed. Please note: Owing to the way some lists are cached, it can take several minutes for any column changes you make to fully appear.